← Upcoming West Seattle preparedness events and activities! Look for us on Saturday at Delridge Day and the SW Precinct Picnic! 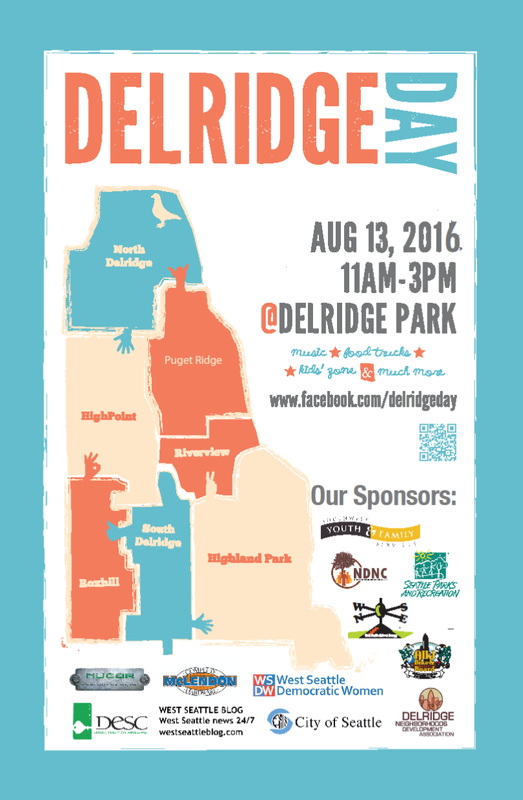 As we mentioned earlier, we’ll be at Delridge Day and the SW Precinct Picnic this Saturday, August 13th! These two great annual events are held in combination on the grounds of the Delridge Community Center from 11 AM – 3 PM. Come enjoy live music, free ice cream, yummy food, exciting demos at the Delridge Skatepark, and lots of activities for kids! This is also a great opportunity to learn more about our local West Seattle community. Community groups and organizations (such as ours!) and the West Seattle Block Watch Captains’ Network. Local businesses and vendors will be there. The Seattle Police Department brings a safety focus to this event each year. You can meet the Community Police Team (CPT) officers and leaders from the SW Precinct, see some of their latest technology, ask questions, and talk with them informally about your concerns. We hope to see you there – look for our booth! As usual, we’ll have informational materials galore including our Emergency Communication Hubs postcard maps! This entry was posted in Announcements, Outreach events & festivals, West Seattle Be Prepared and tagged Delridge Day Festival, West Seattle Be Prepared, West Seattle Emergency Communication Hubs, West Seattle emergency preparedness. Bookmark the permalink.